The UW–Madison Art Department is a national leader in the cultivation and production of creative expression and the visual arts. 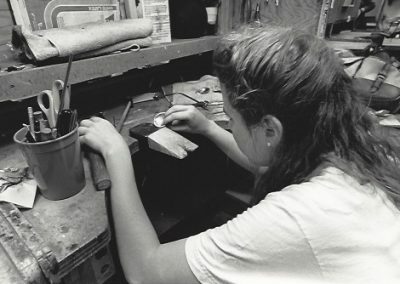 Our undergraduate and graduate degree programs set the practical, critical-thinking and collaborative foundation for students to excel in any area of artistic focus: painting, printmaking, graphic design, sculpture, ceramics, metalsmithing, glass, furniture-making, papermaking, photography, digital media, video, performance and more. 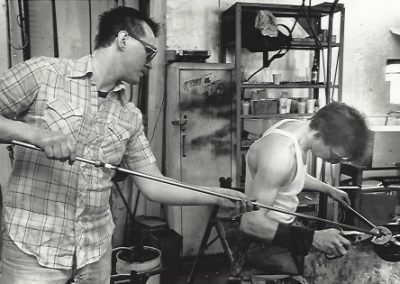 For more than a century, we’ve set the standard for arts learning: we established the first glass-blowing lab in the country, our printmaking programs are consistently ranked the best in the country, our art metals program is ranked among the top three, and we’re home to internationally acclaimed faculty members and visiting artists. Many icons in the industry have been inspired in these very halls – from designer Iris Apfel, to glass sculptor Dale Chihuly, to performer Linda Montano. 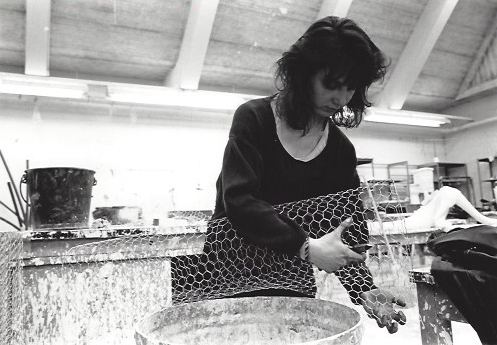 The Art Department at the University of Wisconsin-Madison is committed to teaching art in the context of a major research university and a vibrant intellectual community. Its mission is based on the premise that art is the nexus of all the humanities and that creative expression in the visual arts has provided some of the most enduring contributions to society and culture. The art department strives to provide both a fertile and challenging environment for aesthetic and critical engagement, and the technical skills necessary for the practice of art in the changing landscape of the twenty-first century. It encourages innovation and cross-disciplinary activity, and believes that students should utilize the vast academic resources of the university to inform and deepen their artistic vision. 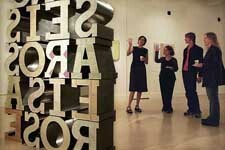 At UW-Madison, education in the visual arts is provided by an outstanding faculty of accomplished practicing visual artists supplemented by an ongoing and active visiting artist series that presents both emerging and established artists. 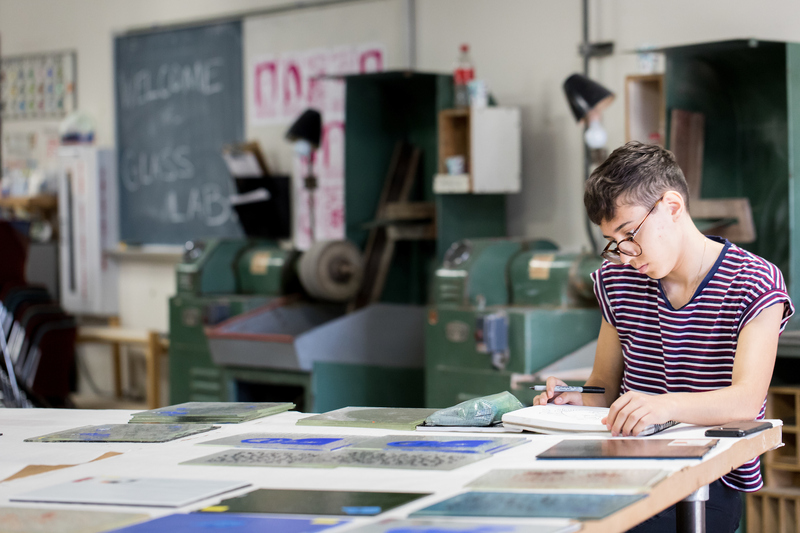 Disciplines are taught in well-equipped studio facilities that include the areas of painting, printmaking, graphic design, sculpture, ceramics, metalsmithing, glass, furniture-making, papermaking, photography, digital media, video, and performance. Both students and faculty cross these disciplinary boundaries easily and without hesitation, and students are encouraged to find their creative voice either within or outside of these boundaries. Artistic practice is defined by attitude, modes of inquiry, and processes of conceptualization—material and media are seen as a means to this end. A combination of spirit and social dynamics has given the state of Wisconsin and the University their distinctive identity and character. Some of this is readily traceable to life on the frontier during the state’s formative years. Life was arduous and understandably simple. The circumstances did not encourage any immediate flowering of the visual arts. The early settlers regarded art as education – art as something to learn how to do or as a desirable enterprise for improving self-expression and evidencing qualities of gentility, especially among women. In spite of the more pragmatic concerns of frontier life, the University showed a comparatively early interest in fine art. When Science Hall, the university’s first major building constructed since the Civil War, opened in 1877, it contained an art museum. Unfortunately, the gallery and the collection were lost when the building caught fire and its contents were destroyed in 1884. 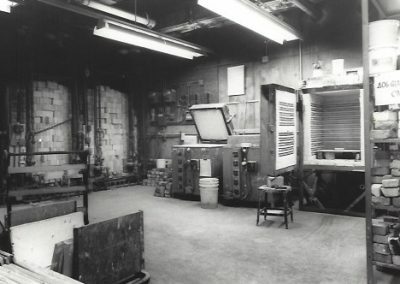 Although some courses in Latin touched on classical art and the University Extension offered art survey and art appreciation courses, the progenitor of today’s Art Department began in 1910 when the engineering department in the College of Letters and Science offered a “manual arts” program. The program was designed for students hoping to secure positions as directors and supervisors of manual arts and vocational work in public school systems. 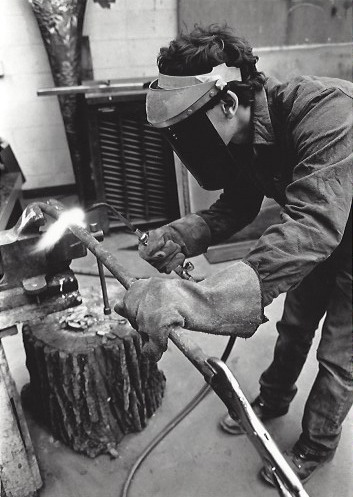 The University’s manual arts curriculum included subjects with an industrial orientation such as mechanical drawing, woodworking, and metal craft. Additional courses embraced the more traditional freehand drawing and perspective, watercolor rendering, and pottery. 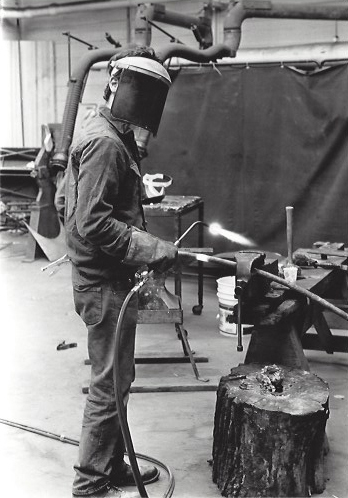 By the mid-1920s, the program had expanded into a department of industrial education and applied arts. 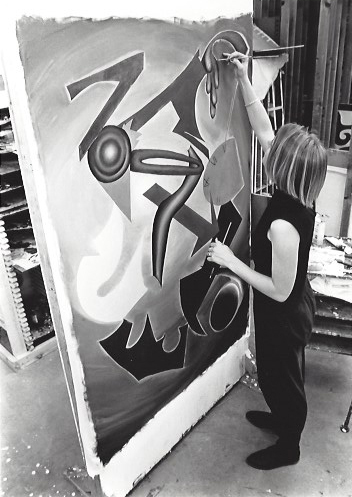 The vocational aspects of art training were the primary emphasis, but courses also were offered in drawing, painting, design, arts-crafts, and primary arts for teachers. After 1930, when the newly-established School of Education separated from its original home in the College of Letters and Science, it included a department of art education. 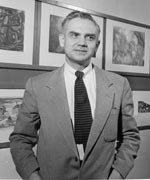 William Varnum, a design educator and member of the art faculty for more than twenty years, served as chair of the department. 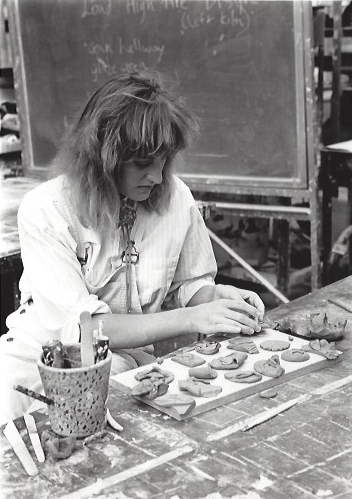 As the department continued to evolve, its prior emphasis on vocational topics gave way to a program designed to familiarize the student with basic and advanced art practice, leading to the development of teachers and supervisors of art (drawing, painting, design, commercial and professional art, and the art crafts) in public and private schools, teachers colleges and universities. However, the curriculum did include an additional accommodation for students not majoring in art education but who were interested in appreciative or professional knowledge of art theory and practice through studio participation. 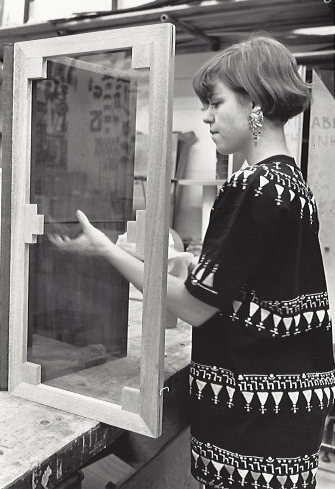 By the end of the 1930s, the department began to offer a baccalaureate degree in applied art. 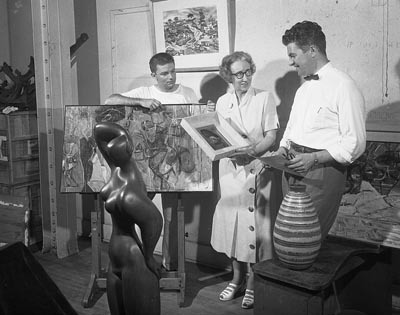 The major emphasis of the art department through the 1930s and into the early 1940s continued to be in art education – training teachers to staff the high school programs around the state. A generation of Wisconsin schoolchildren took their art lessons by listening to the radio, specifically Prof. James Schwalbach’s “Let’s Draw” program. Change does not usually happen rapidly in an academic setting, but for Fred Logan, a relatively new member of the art education faculty, the world turned topsy-turvy as far as education was concerned in 1946. Veterans returning from service in World War II, were eager to pursue their education through grants provided by the G.I. Bill. University enrollment swelled in all areas of the campus. The surge placed unprecedented demands on the University’s physical and human resources. Art was no exception. Those students who came to study were more mature and demanding than those of previous generations. They were in a hurry to finish their education and get on with their lives. Actually, a sense of change had been building in the department. New faculty appointments indicated a trend which grew and eventually matured in the postwar years. 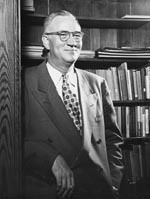 Alfred Sessler, a graduate student who had worked on federally sponsored Public Work for Arts Programs during the depression, received an appointment as an instructor in the department on completion of his degree. Similarly, Arthur Vierthaler, who had considerable experience working with art metal but had no formal training in art education took over the courses of William Varnum who died in the summer of 1946. Shortly thereafter, Dean Meeker, a graduate of the Art Institute of Chicago, arrived to teach courses in drawing and painting. These appointments were followed by a wave of new faces, including Santos Zingale, John Wilde, Warrrington Colescott, Donald Anderson, and Gibson Byrd. 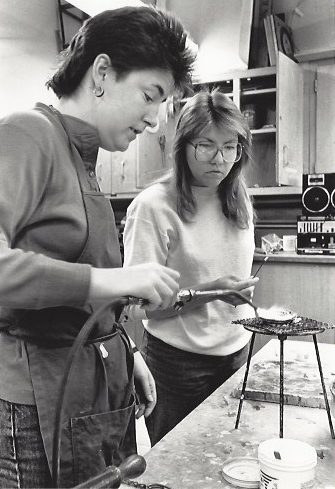 The presence of women on the art education faculty, begun earlier with the appointments of Della Wilson and Helen Annen, continued with Marjorie Kreilick. Greater student demand for studio-oriented courses meant increased enrollments for the school. Building a highly visible, quality program translated into increased prestige. School of Education Dean John Guy Fowlkes made sure the administrative environment was right to capitalize on the momentum. Fred Logan helped establish the basis for a relatively smooth transition of emphasis from teaching teachers to cultivating the talents of potential studio artists. Although primarily an art educator, Logan recognized that the future of art at Wisconsin – and in the profession – would be in studio programs. The 1950s brought a broad and substantial expansion of the program. 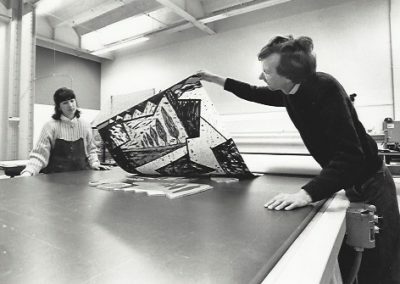 At the middle of the decade, the department conducted a self-assessment showing that from 1945 to 1955, the Department more than tripled its capacity to deal with the enormously increased demands both from regular art majors and others requiring special art courses in their curriculum. 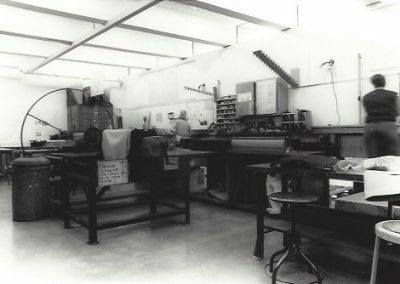 A substantial remodeling of space in the Education Building to accommodate the growing program proved to be a major boost for the department during the 1950s. The remodeling produced an exhibition gallery on the main floor, a new ceramics workshop, a model art classroom for teacher training, more spacious drawing and design rooms, space for sculpture activities, enlarged art metal quarters, and expanded space and equipment for photography, lithography, serigraphy, and general crafts. 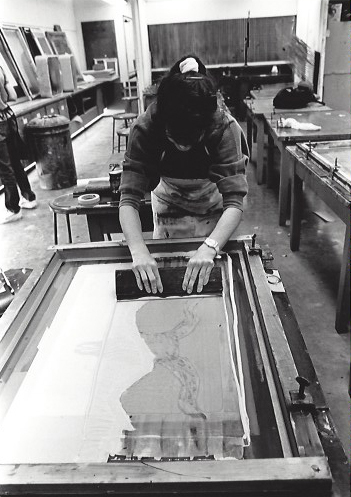 A further enhancement of the academic program came in 1957 with the approval of a Master of Fine Arts degree. 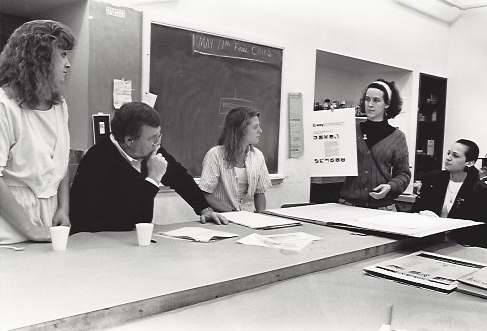 Just over two decades later, in 1978, a similar program, the Bachelor of Fine Arts, was introduced to provide undergraduates better professional preparation in the studio areas of the visual arts than is possible in the existing B.S. program. 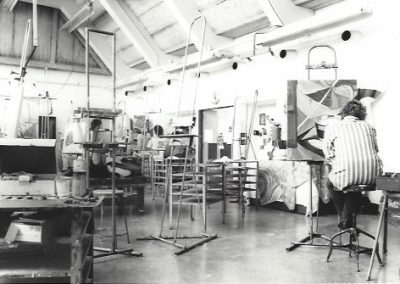 By the beginning of the 1960s, the present-day configuration of the art department program had been firmly established. 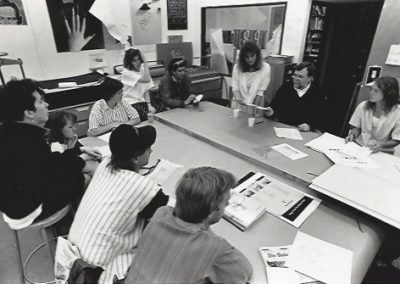 The initial generation of faculty who had established the studio art program was augmented by the appointments of Raymond Gloeckler in art education and relief printing, Jack Damer in lithography, and Walter Hamady, Phil Hamilton, William Weege, and Cavalierre Ketchum in graphic arts and photography. 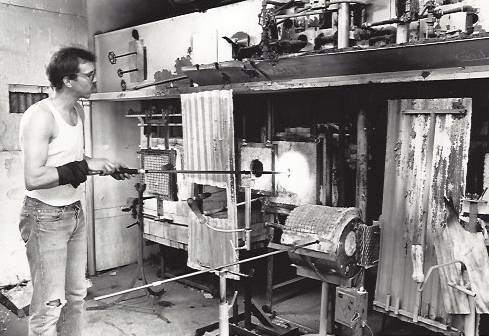 Harvey Littleton, who served as department chair on two separate occasions in the 1960s and early 1970s, had come to teach ceramics but soon established the first studio program in art glass in the United States. 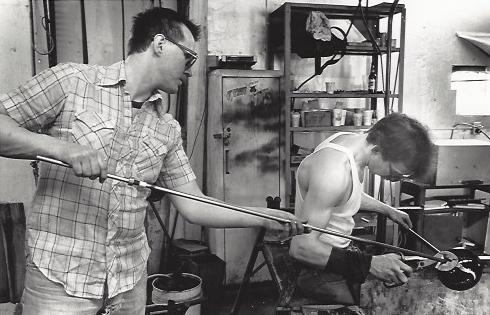 This development had a significant impact as the graduates of the Wisconsin program fanned out across the country to teach and to create their own works. Similarly, Don Reitz gave new impetus to the ceramics program, while Hamady stimulated developments in the book arts and papermaking. These developments were tempered by more practical concerns, however. By the end of the 1950s, the increased growth of the program was obvious and plans were laid to seek larger quarters and better equipment. 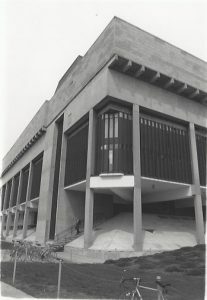 In 1962, building committees were established in the department of art and art education, the history department, and the School of Music to prepare plans for what is now the Humanities Building. Humanities, designed by Chicago architect Harry Weese in the Brutalist style, opened in 1969. It provided the department with administrative offices, studios, classrooms, and a small gallery. For the first time, there was enough space to offer each of the major components of the program – art education, two-dimensional studio art, three-dimensional studio art, and the graphic arts – their own separate areas. New equipment made it possible to offer instruction in state-of-the-art developments in the various media. A structure of red steel beams and cables form a decorative entry to the exterior of the Art Lofts building at the University of Wisconsin-Madison. The state-of-the-art facility houses teaching spaces for several fine art disciplines as well as private studio spaces for faculty and graduate students. The program grew and adapted to changing times. The current curriculum, for example, embraces such relatively recent expansions of the concept of making art to include computer art, video, and cross-listed courses dealing with lighting, set design, and sound design as well as courses which deal with such topics as the social functions of art. 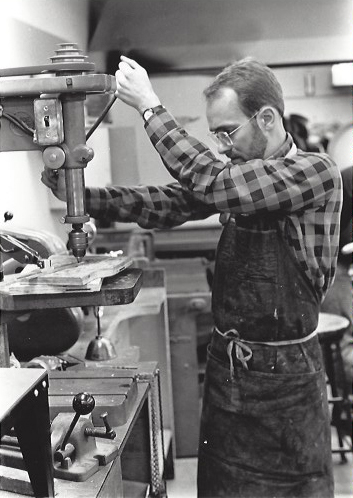 A major addition to the Art Department came in 1987 with the establishment of Tandem Press, founded by faculty member Bill Weege. 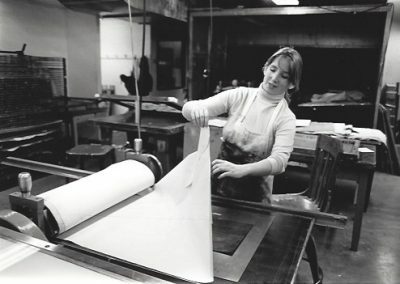 Built on a long tradition of excellence in printmaking at the university, Tandem Press produces prints by nationally recognized visiting artists and offers students opportunities to learn about the artistic and economic factors that go into the operation of a major print studio. During Arts Night Out, visitors to the Seventh Floor Gallery in the Mosse Humanities Building admire a sculpture by art graduate student Chris Walla. The untitled eight-foot tall sculpture, made of steel, wood and linoleum, was part of a exhibit of Walla’s work entitled Domestica. In the early twenty-first century, the department acquired a foothold in a warehouse next to the Kohl Center for new ceramics, glass, neon, and papermaking facilities, a bronze foundry, darkroom and digital labs, a woodshop, graduate and faculty studios, a large performance space, as well as a second gallery space. 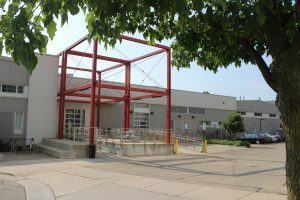 Renovations were completed in 2009 and the Art Lofts opened for use, increasing the department’s options for programming, art production, exhibitions, and education in the arts across a total of 160,000 square feet of dedicated space. From a standpoint of public perception, perhaps the most tangible testament of the department’s ongoing creative activities can be found in the multitude of weekly student exhibitions which appear in the seventh floor gallery of the Humanities Building and the Art Lofts gallery each year, and in the Art Department Quadrennial Faculty Exhibition, an event which has become a cotillion sampling recent work by current and emeritus faculty. 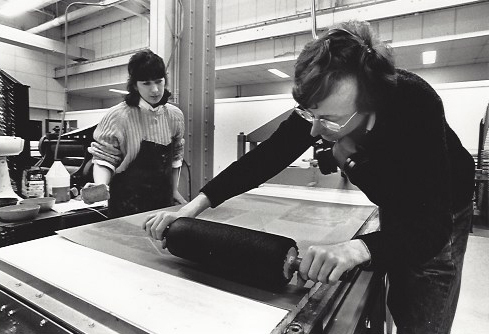 The first comprehensive faculty exhibition was organized and presented in 1974 as joint venture of the Art Department and the Elvehjem Museum of Art (then known as the Elvehjem Art Center) to help celebrate the university’s 125th anniversary. In many ways, the show represents a periodic revisiting of the frontier. It is not so much a consideration of the frontier as a landscape boundary, but more an exploration of artistic potential. That continuing exploration has become the primary mission of the Art Department. Adapted from “Exploring Artistic Potential: An Informal History of the UW-Madison Art Department” by Arthur Hove.